You want to grow your practice. You want to attract local patients who spend money in your clinic. To achieve both these goals you need the right chiropractic website design that will work hard for you. 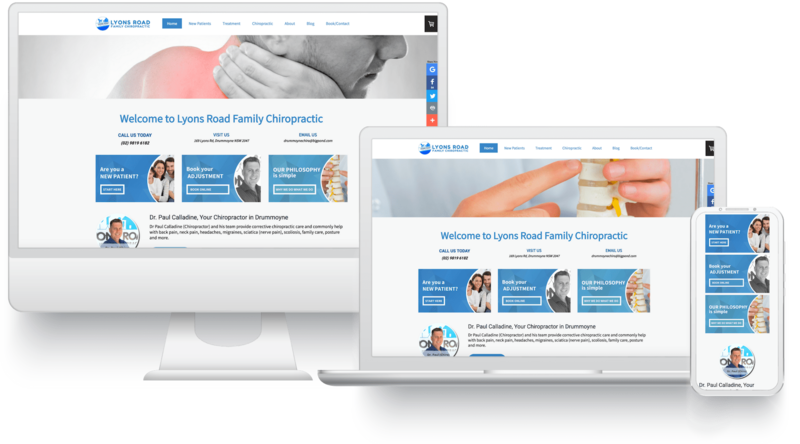 You need to partner with a local chiropractic website company like us – we’ll help you out online. 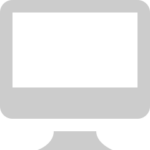 Your website will fit your desktop screens, tablets and down to your phone. Your website will work seamlessly on mobile devices, making it easy for patients to book. Customised WordPress themes developed unique for your clinic using a market-leading, user-friendly framework. Almost unlimited possibilities with our 100% conversion optimised web design. Unlike some other agencies, you own the website and domain name forever. No monthly payments, no rental fees. Service: We know what works and what doesn’t and importantly, our websites aren’t just for the aesthetic, they turn visitors into customers. 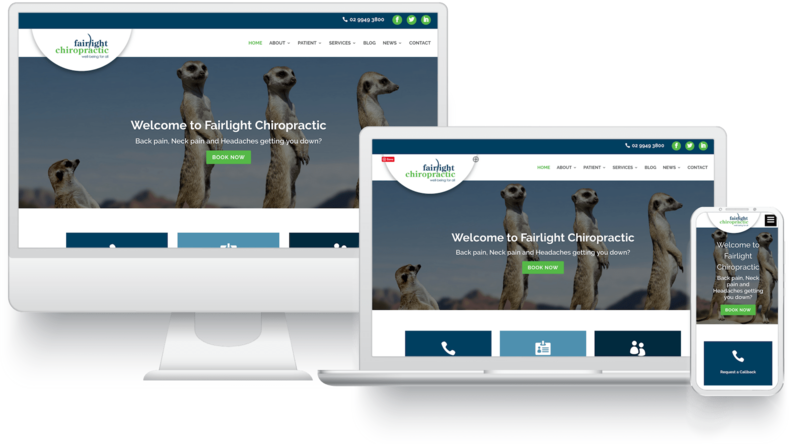 If you’re serious about investing into your clinic and are determined to follow through with our recommendations, our chiropractic website design packages are right for you. Price: Our standard website packages are affordably priced starting at $749 for a basic site and around $1,990 for a full redesign. You’ll know exactly what investment you’ll be putting into your clinic before you start. Request a consultation now to discuss your website. Results: After you commit to a website project, we begin work. Within 2-4 weeks (sometimes quicker) your new site will go live. Many clients choose to later invest in a separate SEO campaign to further boost their website rank, maximising their profits. 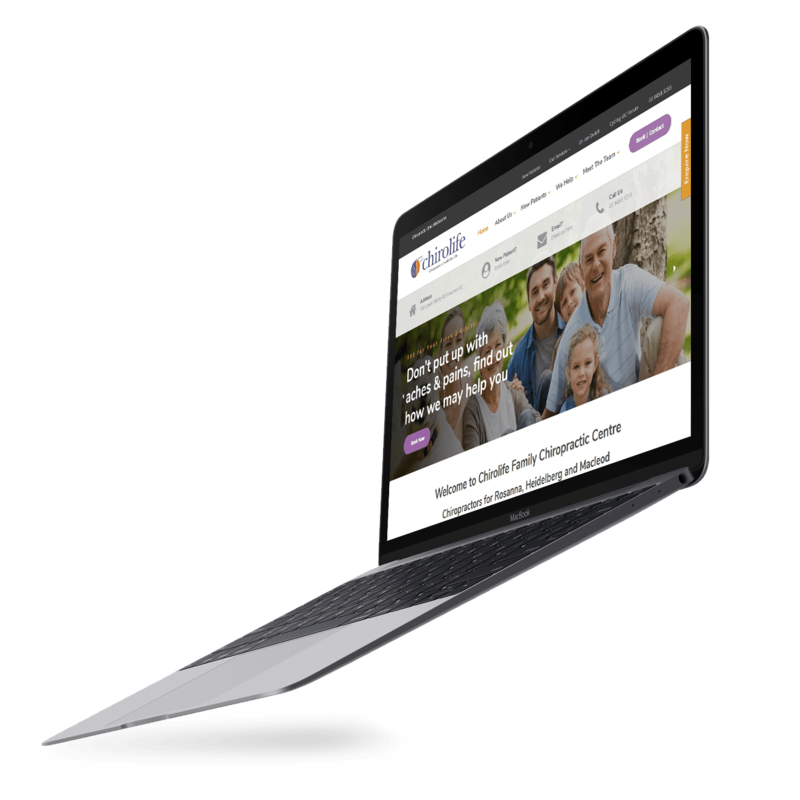 Our websites tend to load faster and rank higher than generic website themes and slow templates (which is why chiropractors choose us as their chiropractic website company). This gives you the advantage online as the higher your website ranks, the more enquiries you’ll receive.